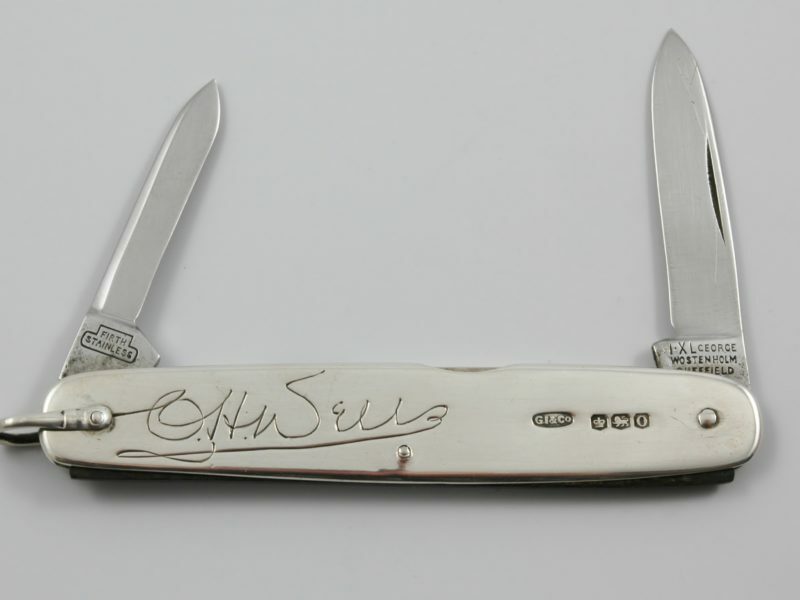 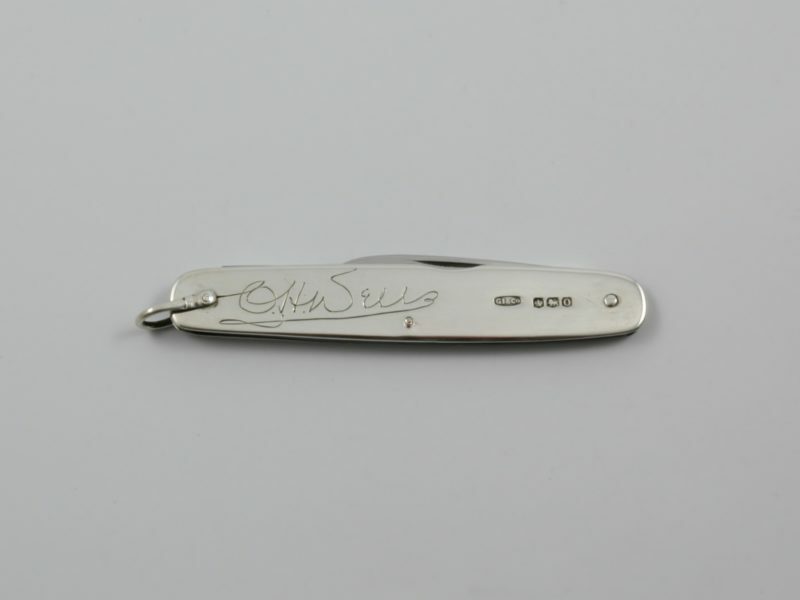 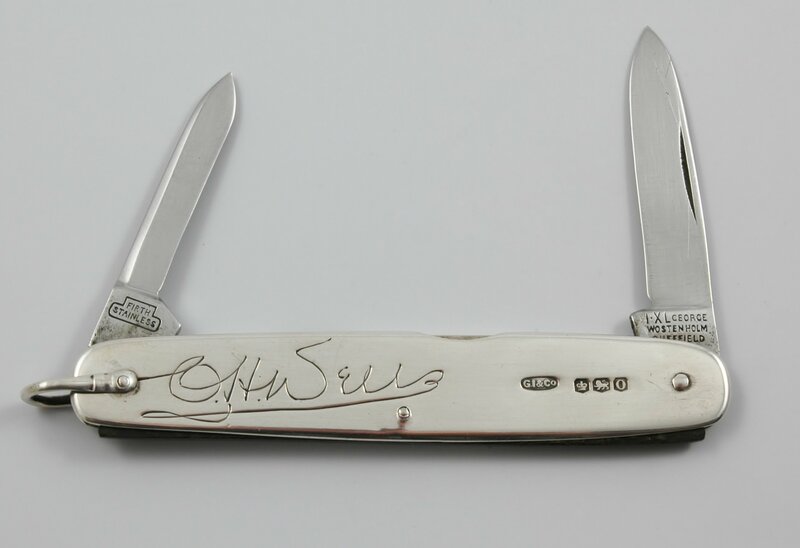 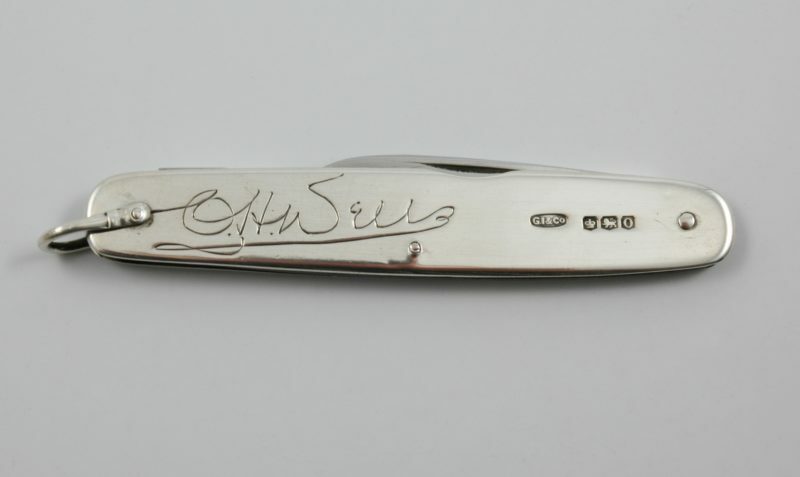 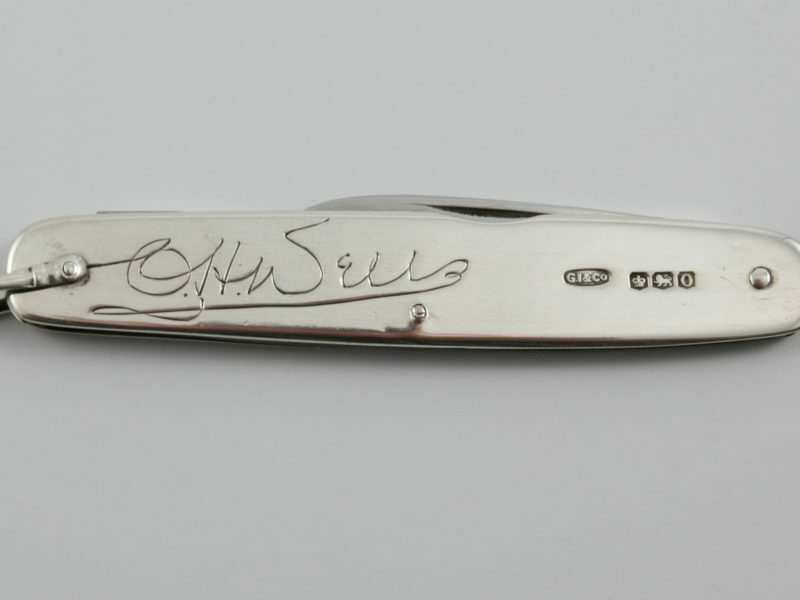 Silver mounted pen knife marked for Sheffield 1956 by George Ibberson & Co.with inscribed name O. H. Wells. 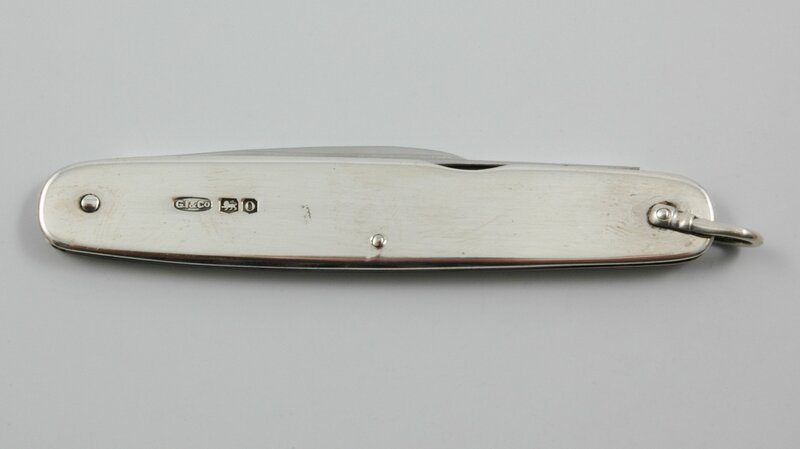 Dimensions when closed: 8.8 cm long by 1.5 cm wide by 0.3 cm deep. 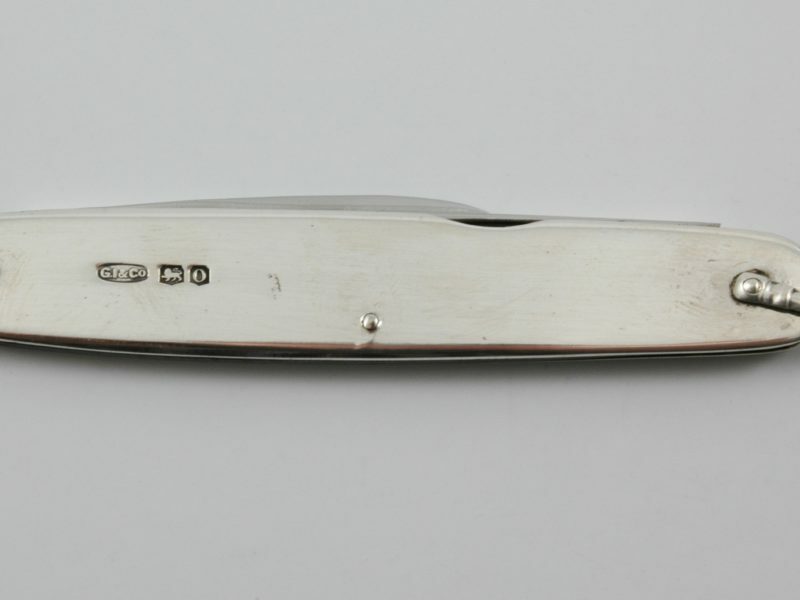 The main blade is 13.2 cm long.